Toss won by: Chennai Super Kings, elected to field first. Batting: Ishan Kishan 40 off 29 balls, SA Yadav 43 off 29 balls, Krunal Pandya 41* off 22 balls. Batting: DJ Bravo 68 off 30 balls, Ambati Rayudu 22 off 19 balls. Bowling: HH Pandya 3/24 in 4 overs, M Markande 3/23 in 4 overs. 1. 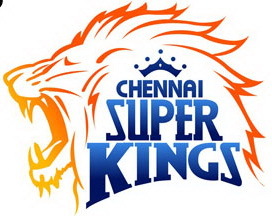 It was Chennai Super Kings return to the IPL and the Dhoni led team had a point to prove i.e. that they are still fully capable to upset any team. On the other side was the defending champions Mumbai Indians who faced off CSK in hopes to register their first win of the tournament. 2. CSK got a dream start as their bowlers removed Mumbai’s openers quite cheaply. However, Mumbai middle order batsmen came as a surprise package as they helped their team to post a total of 165 on the board. 3. Three Mumbai batsmen namely Ishan Kishan, SA Yadav and Krunal Pandya reached 40s but were unable to convert it to a half-century. 4. 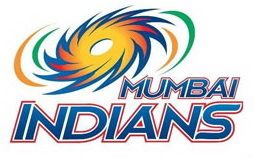 The score could easily have been 170-180 but Bravo only gave 5 runs in the last over to restrict Mumbai to 165 runs. 5. Chennai now had to score 166 to win this match in 20 overs. Chennai got off to steady start but lost wickets regularly as the Mumbai Indian bowlers showed their class on the field every now and then. 6. Much was expected from Raina and Dhoni but they too went back to the pavilion after scoring in single digits. Markande the young Indian spinner showed his skills in the match as he collected 3 wickets to send Chennai 6 down for 84 runs. 7. But, a magical innings from Darren Bravo was played as he struck 7 sixes and 3 fours to keep his team in the match. After his wicket in the second last over of the match it all came down to the injured Jadhav who now had to steer his team to the end of the road. 8. Mustafizur Rahman was given the last over with 7 runs to defend in the final over against an injured Jadhav. The first three were dot balls as Jadhav was unable to run due to his hamstring injury. 9. However, he dispatched the second last ball for a six and the very next for a four to win the match for his team.